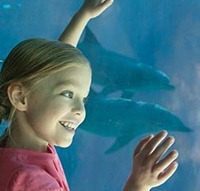 Florida preschoolers are being offered a deal from SeaWorld Orlando and Busch Gardens of Tampa Bay. The parks are offering free passes good through the end of 2012 to Florida residents that are five years old and under. According to a statement from SeaWorld, passes are available exclusively online through SeaWorldOrlando.com and BuschGardensTampaBay.com. However we have been unable to find a page for requesting the passes. We have been in touch with a representative from SeaWorld who was also unable to find them. They said they would get back to us with the correct information, but have not done so by post time. We will update this page when the information becomes available. Once we can get to them, the passes will include access to attractions designed for children such as Sesame Street Safari of Fun at Busch Gardens, and Shamu’s Happy Harbor play areas at SeaWorld. It also includes entry to seasonal events including SeaWorld’s new “Just for Kids!” festival. The childrens festival, held on Saturdays from January 14 through February 4, features concerts by Max & Ruby, the Lazy Town crew, the Doodlebops and Choo Choo Soul (a band that is very listenable by parents, thank goodness). The preschool pass is to include unlimited admission through December 31, 2012, and there are no blackout dates. It does not require the purchase of an adult pass… but our SeaWorld representative recommended to CP that the Fun Card or a multi-park pass (also available through the above websites, and they – are – there) would be handy for the parents, as the child would need to be accompanied by an adult, of course. After registering for the preschool pass online, it can be picked up at the ticket windows of either park. A certified copy of the child’s birth certificate is required. We now have a link for signing up for the free preschooler pass. The link is also available through the parks homepages.